The integration of the liquid sampling-atmospheric pressure glow discharge (LS-APGD) ion source with Orbitrap mass spectrometers has resulted in new opportunities in the field of isotope ratio mass spectrometry. 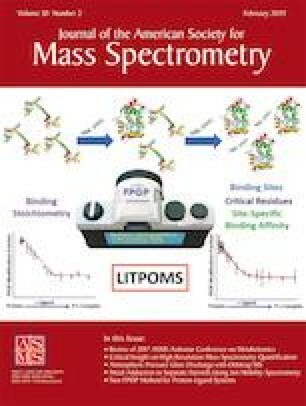 In a field that has been dominated by thermal ionization mass spectrometry (TIMS) and inductively coupled plasma mass spectrometry (ICP-MS) on quadrupole and scanning-mode sector field analyzer platforms for highly accurate and precise measurements, the LS-APGD-Orbitrap system offers a benchtop instrument capable of meeting the rigorous International Target Values for measurement uncertainty for uranium (U). In order to benchmark the LS-APGD-Orbitrap, a series of U certified reference materials with increasing 235U isotopic composition were analyzed. By using U samples ranging in enrichment from 1 to 80%, the ability of the system to measure isotope ratios over a wide range is demonstrated. This analysis represents the first time that the LS-APGD-Orbitrap system has been used to analyze highly enriched U samples, allowing for the measurement of each of the U isotopes, including 234U and 236U-related species, which had not been achieved previously. Ultimately, the LS-APGD-Orbitrap system was able to measure CRM U-800 (assayed as 235U / 238U = 4.265622) as 4.266922, with a combined uncertainty, (uc), of 0.040%. These results are compared to those obtained using traditional elemental mass spectrometers including TIMS and ICP-MS-based instruments. The effectiveness of the LS-APGD-Orbitrap MS system for measuring U isotopes shows excellent promise in nuclear forensics, safeguards, and other nuclear weapon-based applications. Efforts in the development of the LS-APGD microplasma ionization source have been supported by the Defense Threat Reduction Agency, Basic Research Award #HDTRA1-14-1-0010, to Clemson University. High Purity Standards (Charleston, SC, USA) is acknowledged for the donation of CRM 129a.